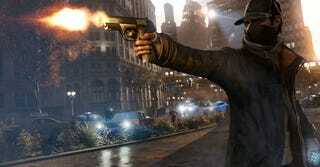 A number of Watch Dogs players are reporting a major bug that has prevented them from loading save games in the open-world game, which Ubisoft released for PC and consoles last week. The bug, which may or may not be related to the uPlay issues that popped up during launch, appears to make some players' save-loading screens freeze at the 90% mark, rendering their save games completely inaccessible. Though there's no way to tell how common the bug is, a thread on Ubisoft's forums discussing the 90% freeze issue is up to 163 pages so far, and we've gotten a number of e-mails and tips from people who have run into the problem. A Ubisoft representative posted on the forums saying they're aware of the bug, though there's no word on a fix just yet.